Chicago saxophonist Greg Ward says he got the name for his newest band – Rogue Parade – from a podcast he heard. Whatever the source, the title seemed just right Friday night at the Green Mill, where Ward and rambunctious colleagues produced a music that strutted joyously from one offbeat to the next in a riot of sound. Not that everything Rogue Parade played was loud and rhythmically buoyant. But even at slow tempos, this quintet reveled in thick instrumental textures and intriguingly weird sonorities, all made cohesive by the ingenuity of Ward’s compositions and the fluidity of his colleagues’ improvisations. There’s a great deal about this unit that stands out, starting with its instrumentation, Ward’s keening alto saxophone lines drenched in color, harmony and dissonance from two electric guitars (nimbly played by Dave Miller and Matt Gold). Add Matt Ulery’s bass (electric and acoustic) and Quin Kirchner’s thunderous drums, and you had a band that suggested the work of more than five hyper-kinetic musicians. Yet for all the decibels and energy involved, not once did this music become overbearing or pompous. These players listened too closely to one another and dealt too carefully with the compositions at hand for that to have happened. All the music of the evening’s first set derived from Ward and Rogue Parade’s striking new debut album, “Stomping Off from Greenwood” (Greenleaf Music), its first six tracks performed in sequence. If the music bristled with the spirit of invention on the recording, it proved still more emphatically effective in concert. Who could sit still during the repeated-note agitations and clanging, duel-guitar eruptions of “Metropolis,” which opened the performance? The sinuous themes and full-throated exhortations of “Excerpt 1” unfolded at a slower, more majestic tempo, but the exuberant character of the music remained the same. Later in the evening, the ever-swelling ensemble sound of “The Contender,” otherworldly sonic effects of “The Fourth Reverie” and inherent rhythmic and harmonic tension of “Let Him Live” attested to the storytelling nature of Ward’s music. The bandleader regarded his solos not as occasions for grandstanding but, instead, as themes awash in ensemble sound, his lines bobbing to the forefront before receding into the background. 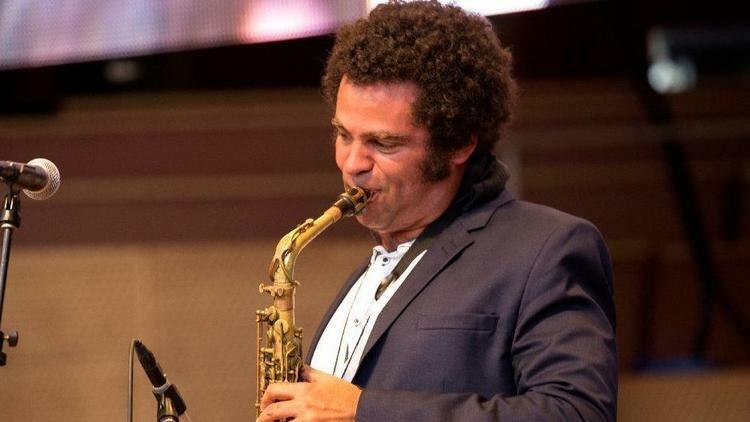 But whenever Ward’s alto saxophone was at its most prominent, it was easy to admire the dusky character of his tone and the tightly coiled nature of his musical statements. Ward has been turning in important work on record and in concert for years. The “Stomping Off from Greenwood” music stands as his newest high point. Greg Ward and Rogue Parade perform at 8 p.m. Saturday at the Green Mill Jazz Club, 4802 N. Broadway; $15; 773-878-5552 or www.greenmilljazz.com.